Asian Games 2018: Rahi Jeevan Sarnobat clinched gold in Women's 25m Pistol after 2 rounds of shoot-off on Wednesday at Jakarta, with ace shooter Manu Bhaker finishing 6th in the same event. Rahi clinched gold in Women's 25m Pistol after 2 rounds of shoot-off at Jakarta. 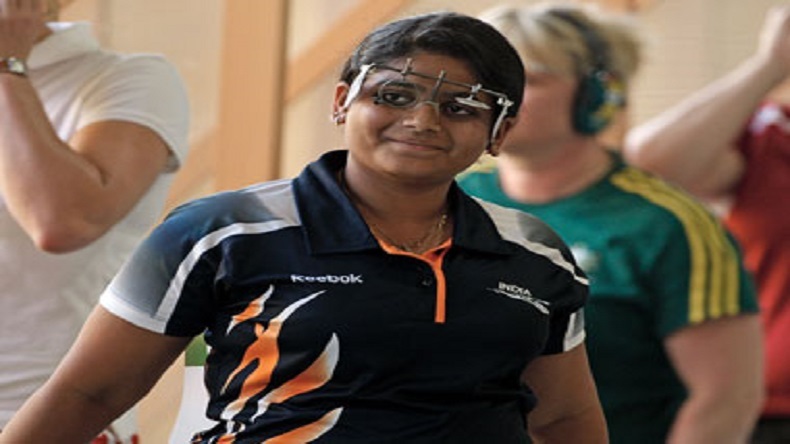 When Rahi Jeevan Sarnobat began her career in 2007 she was inspired by shooter Tejaswini Sawant, who won gold at the 2006 Commonwealth Games in Australia. Now, at the Asian Games 2018, Rahi has set the stage herself to inspire many from her success story. Rahi clinched gold in Women’s 25m Pistol after 2 rounds of shoot-off on Wednesday at Jakarta, with ace shooter Manu Bhaker finishing 6th in the same event. Not only she won the medal, Sarnobat smashed the Asian Games record score of 34. The 27-year-old is not new to glory, she won bronze in the 2014 Asian Games in Incheon. In the Commonwealth Games, she has won 3 medals including gold. Earlier, while expressing her happiness over winning the gold, Rahi Sarnobat took to her Twitter handle and wrote that the glory has come to her after months of hard work. She also thanked her coach who devoted equal hard work to clinch gold for India. She also thanked OGQ India for believing in her and supporting her throughout. This Gold has come after months of gruelling hard work. In the field of shooting at the Asian Games 2018, Indian shooters have proved their mettle. From the Day 1 at the Asian Games 2018, India has been continuing to prove its coin at the Asian Games 2018. India’s medal tally started mounting after Apurvi Chandela and Ravi Kumar won a bronze in 10m Air Rifle Team event. Their legacy was then followed by Lakshay who won a silver medal in Men’s Trap. The day 3 for India ended with 10 medals, which included two medals in shooting only. At Asian Games 2018, Saurabh Chaudhary clinched a gold in Men’s 10m Air Pistol final while Abhishek Verma clinched a bronze. Meanwhile, India’s medal tally has now total 11 medals with 4 gold, 3 silver and 4 bronze. In the ranking, India is currently holding the sixth position.